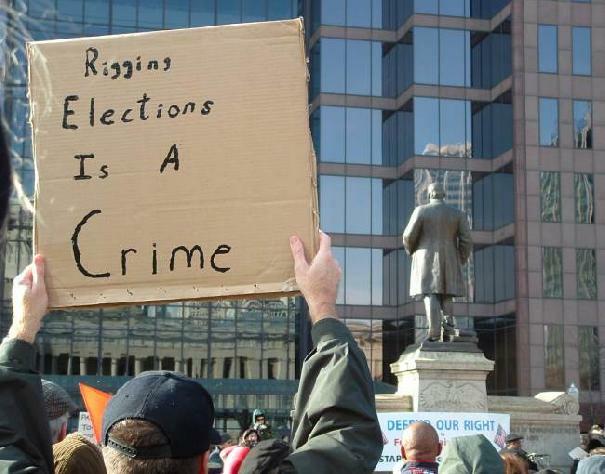 What happened to Ohio's missing 2004 election records, and who is responsible? Since the year 2004 the Ohio Boards of Elections have been told at least nine times, which Paddy has documented in paper and/or electronic records, that they must retain all the Presidential Election Records for 22 months. Then there is the Ohio Revised Code, which tells them to keep these election records. So that is 10 times. It has come to my attention that the issue was also discussed between the different Board of Elections via email, and verbal communications as to “what should they do about the records”. Next comes inter-office email from the Guernsey County BOE sent to all 88 BOE’s discussing the website www.savetheballots.org which Paddy obtained from a record request. So can we count that as 11 times the issue has been raised? An article on this will be up on www.freepress.org soon, with the letters where 5 different BOE’s discuss the records and their apparent hate and disgust for anyone that dare question anything about their elections. One more time I found, “Get over it already,”aimed at the election activists, who just desire truthful, transparent elections. If you wish to write your own articles on your experience in this project for the Free Press, send it to truth@freepress.org and state in the subject line that your submission is for publication. Include your name and contact information in case the Free Press has any questions. Please Cc both Paddy Shaffer and Jason Parry, for the ongoing county records. Please note; the Free Press will not be providing us with your writings, send them to us directly. Anything sent to them must be ready for publication. If the Boards of Elections are reluctant or too busy to respond verbally to the following twenty questions, Paddy Shaffer will be happy to provide them and the County Prosecutor with the questions in writing, and they can respond in writing. 1. Ask questions pertaining to the county BOE’s individual story, their “letters of explanation,” or lack of one. Look at their inventory sheet and find out how much they got rid of. If they are missing, oh say…. 50,000 ballots, ask how they could inadvertently destroy, shred, burn, dump, or lose them? If needed, ask how many are missing, or what is missing if you can’t find records. Then we can compare the verbal answer to their written answer. 2. How many boxes would that be? 3. Who destroyed them, where, and how was it done? 4. Did the all members of your Board of Elections, and both the Director and Deputy Director approve? 5. What are their names? If anyone moved and therefore is no longer a BOE employee or board member, ask where they are now, and for contact information. 6. Who if any of these people did not approve? 7. How do you “accidentally,” “inadvertently” or “unintentionally” destroy ____ (example: 80, get a correct number from them, or from their records) boxes of ballots? 8. If it is blamed on someone else, who are they, and how can they be contacted? 9. Did you respond to a letter from Jacqueline Neuhart, Director of the Guernsey County BOE on August 7, 2006 in regards to a website called http://savetheballots.org , where Jacqueline wrote to all the county BOE’s and posed the question, “Has anyone else heard about this? I wonder how far it will go?” If they answer yes, have them send you all copies of correspondence on the topic. If they will not send it, let Paddy and Jason know, and file a formal request for this yourself, or Paddy may file a formal record request on the subject. 10. In regards to the Directive sent by the Secretary of State’s office from Monty Lobb, the Assistant Secretary of State, on September 1, 2006, I have some questions. It is Directive # 2006-59 and it was sent to “County Boards of Elections” with copies to “County Prosecutors” and to “Betty Montgomery, State Auditor”? It says “RE: Record Retention Policies Governing Ballots and Poll books”. It talks about the law, Ohio Revised Code 149.38, and the “rules for retention and disposal of records”. A. Did you receive this? B. Did you read this? C. Do you still have it? D. Do you file the RC-3 form, “Certificate of Records Disposal”? records over to the Secretary of State? 12. In Judge Marbley’s September 11, 2006 court order, did you read in page 5 that “Whoever violates this section shall be dismissed from his position as a member of employee of the board and is guilty of a felony of the fourth degree”. 13. In the same September 11, 2006 court order on page 7, did you read that if you violate the Order, the court “may impose an appropriate discovery sanction” and “hold a person in contempt of court when a person fails to obey an order”? 14. On Thursday, August 24, 2006, your office received by fax a letter from Attorney Clifford Arnebeck in regards to safeguarding the 2004 election records, informing you of an impending lawsuit, for which said records would be the primary evidence. Since you would by law, need to inform your County Records Commission which includes one of your County Prosecutors, and the State Auditor, who at these two places did you talk to, or file forms with? Ballot security is important at all times. As soon as any ballot tabulation is completed, all ballots must be stored in a safe, dry place secured with two locks: one lock that can be opened by the director, and the other lock by the deputy director or other designated employee of the opposite of party of the director. All used and unused ballots must be retained for at least 22 months.” Did you abide by the requirements regarding ballot security? Did you abide by the requirements regarding ballot preservation? 20. Are you aware that ignorance of the law is no excuse? 21. What qualifications do you feel you have that qualify you to retain your job?